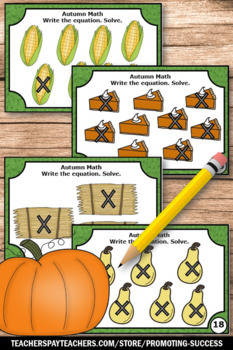 This is a bundle of 3 Thanksgiving math resources for kindergarten or 1st grade. They also work well for students with special education and autism. 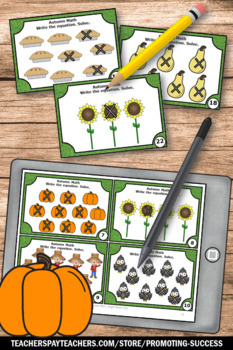 Students will practice addition and subtraction facts to 10.You will receive the following Thanksgiving activities:1. 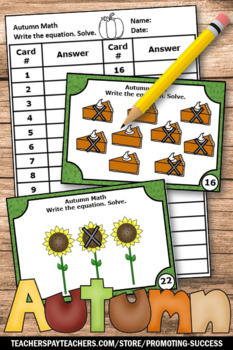 Addition Facts - 30 Task Cards2. 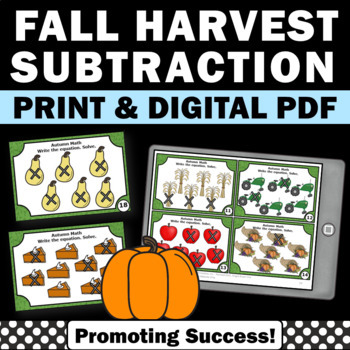 You will receive 30 printable Thanksgiving math subtraction facts task cards to use in your kindergarten or special education math stations as a review, test prep or formative assessment. Students will examine the owls, create and equation and then solve. You will also receive game ideas, a student response form and answer key. ClickHERE for more Thanksgiving activities.